Why are bees important to humans? The 20,000 or so species of bees are the principal pollinators of plants, both in gardens and in the wild. If you like having flowering plants around, for the most part you need to have bees around. There is a need to create awareness that pollinators need help. People should be encouraged to plant flowers and buy local honey and governments around the world should encourage beekeepers and regulate the use of pesticides in agriculture to minimise risks to honeybees. The bee population is said to be on a decline. Which countries are worst hit? The population of managed bees in the US is about half of what it was in the late 1940s when the National Agricultural Statistics Service began keeping records. In the past three years, losses attributable to colony collapse disorder (CCD) have been 30-35 per cent. Honeybees in much of the rest of the world are experiencing hard time as well. A paper by entomologists Peter Neumann and Norman Carreck published in the Journal of Apicultural Research in 2009 shows losses up to 53 per cent in Europe, up to 85 per cent in West Asia, and 25 per cent in a decade. What are the reasons for the decline? The consensus is that multiple stresses are responsible for such a decline. These include varroa mite infestation, increasing frequency and number of viral diseases, poor nutrition, bad beekeeping practices, monoculture agriculture and exposure to both in-hive miticides and agricultural pesticides. This disorder can be recognised by a set of symptoms: sudden decline in the number of older workers (foragers) leaving behind a colony with a queen and food provisions but very few (and very young) workers and brood. The first reports about the disorder began to circulate in the late 2006 and by February 2007 the phenomenon had been reported in over 20 US states. There are many theories but the most widely supported are new or increased frequency of viral diseases, exposure to combinations of pesticides, poor nutrition as well as a combination of these causes. Do mobile towers contribute to the decline in the bee population? There is no robust evidence to support the hypothesis that cell phone towers contribute to bee decline. There are a small number of papers purporting to test the hypothesis but they are methodologically seriously flawed—by an absence of statistical analysis and inadequate sample sizes. Has incessant use of antibiotics on bees contributed to their demise? Use of antibiotics varies from place to place. Terramycin is used by some beekeepers to treat foul brood diseases but its use is not universal. Chloramphenicol contamination in Chinese honey, however, is apparently widespread. 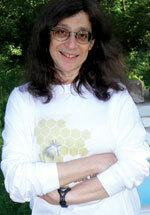 Have invasive species affected local bee populations? An invasive bee species is defined as an introduced species that causes harm. But I am not sure about this definition. Apis mellifera, a European honeybee, was introduced in North America in the 17th century. The introduction was deliberate and beekeepers manage their colonies. In contrast, Apis cerana was accidentally introduced into Australia and beekeepers feel the alien insect could destroy the bee industry there. Do Bt or other genetically modified (GM) crops threaten pollinators? Whether bees are exposed to pesticide-protected plants or not depends on the specific crop. For example, the principal pest-protected GM crop in the US is corn. It is a wind-pollinated plant that produces pollen not preferred by bees. Canola and soybean pollens are more likely to be consumed by bees. But laboratory and field studies show little evidence of adverse effects. The most important adverse effect of GM crops on bees is that fields on which many such crops are grown provide fewer floral resources to support pollinators. Is endosulfan safe for bees? A 2010 study shows honeybee to be the least sensitive species to endosulfan (three insects were tested). For endosulfan, the average LD50 (lethal dose that kills 50 per cent of the animals tested) for honeybee was 120 microgram/ gramme, while that for the other insects was 1.83 micro-g/g. But LD50 values do not reflect sub-lethal effects on behaviour, which neurotoxins such as endosulfan are likely to have.